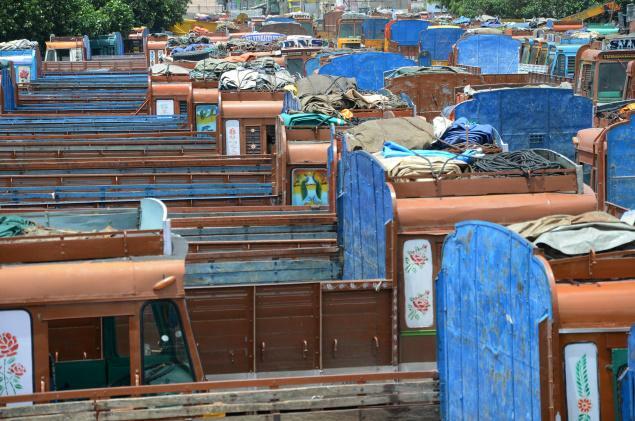 While members of All India Motor Transport Council (AIMTC) are keen on preventing vehicles from entering Kerala from April 1, the president of Tamil Nadu Truck Owners’ Association said he would not support the strike. Kerala commercial tax commissioner G Krishnakumar has called for a meeting in Trivandrum on March 31 with the lorry owners’ associations hoping to resolve the issue. The AIMTC members stationed at Walayar said they have stuck posters at Walayar check post announcing that no trucks would cross the inter-state border to protest against the alleged highhandedness of check post personnel. “We received a letter from the commercial tax commissioner and we responded with a request to fulfill our demands or else we would go on an indefinite strike,” said G R Shanmugappa, chairman, toll committee, AIMTC. When questioned as to why the Tamil Nadu truck owner’s association has not supported them, he did not acknowledge that the association even existed. “He was removed from the post several years ago and whatever federation he claims to be a part of does not have more than five trucks that transport send. There is only one umbrella in India for lorry associations and it is the AIMTC,” said K R Arumugham, Coimbatore Lorry Owners’ Association. 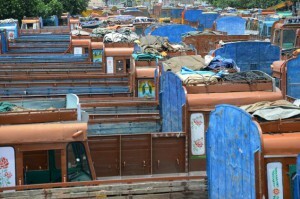 K Nallathambi, president,Tamil Nadu State Lorry Owners’ Federation said that based on decisions made in New Delhi, lorry owners will not function in Tamil Nadu. AIMTC members would hold a press conference at Walayar on March 31 announcing the indefinite strike. “Our major demands include increasing the number of counters to ten, using government weighing machines instead of private ones and a green signal for commodities such as iron, steel, vegetables and meat,” said Shanmugappa. Bhim Wadhwa, president of AIMTC, said he was aware that due to the strike, Kerala may not get its commodities but they had no other way to mark their protest as the government has failed to fulfill their demands.